Awhile back, I was in a restaurant in Arkansas. As my friends and I talked with the server and invited him to the event where I would be speaking that night, he asked me, "Do you think we are living in the last days? Do you think that Jesus Christ will come back in my lifetime?" "There will be signs in the sun, moon and stars. On the earth, nations will be in anguish and perplexity at the roaring and tossing of the sea. Men will faint from terror, apprehensive of what is coming on the world, for the heavenly bodies will be shaken" (Luke 21:25 NIV). The catastrophic tsunami of Dec. 26, 2004, was caused by the fourth most powerful undersea earthquake on record, an earthquake so forceful that it moved the entire island of Sumatra 100 feet to the southwest from its pre-quake position. Geologists said it literally sent the entire planet vibrating and actually interfered with the Earth's rotation to the degree that time stopped for three milliseconds. According to the U.S. Geological Survey, earthquakes are increasing. Every decade for the past five decades has increased the number of earthquakes – not just minor ones, but what are now called "killer quakes." It seems as though every catastrophic earthquake that occurs is said to be the strongest ever. Then another killer quake will come along that is even worse than the ones before. Some people argue this has been going on for hundreds of years, that everyone thinks Jesus is coming back in their lifetime. I will grant that, but I would like to point out one thing to think about: Something really significant happened on May 14, 1948. The Jewish people who had been persecuted throughout history, who had been murdered in the millions by Hitler, began to return – as if on cue – to their homeland. And on that day in 1948, Israel was once again a nation. 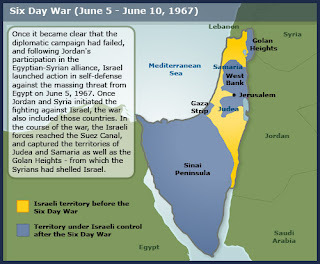 After the War of Independence, the modern state of Israel was declared, fulfilling a very significant Bible prophecy. It wasn't just a sign; it was a super-sign. And it happened against all odds. "I am going to make Jerusalem a cup that sends all the surrounding peoples reeling. Judah will be besieged as well as Jerusalem. On that day, when all the nations of the earth are gathered against her, I will make Jerusalem an immovable rock for all the nations. All who try to move it will injure themselves." Frankly, we don't know what will happen next in our world. Any one of us could be a victim of terrorism or violent crime in these volatile times in which we live. I wish I could say there never will be another tsunami or another earthquake or another hurricane or another terrorist attack. But we live in a fallen world. And we know it will come to an end. So is the end of the world near? I don't know for certain, but clearly there are signs of the times. At the same time, we never know when life will come to an end. The statistics on death are pretty impressive: One out of every one person will die. There are no exceptions. And there are no chances after death to respond to God's offer of salvation through Jesus Christ. But there are hundreds, even thousands, before.